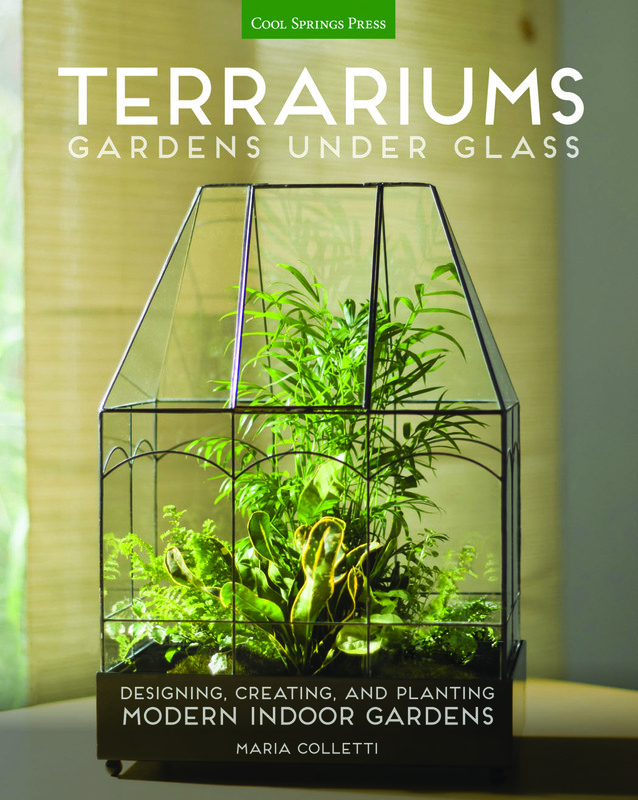 I was recently asked if I would like to review Maria Colletti's book "Terrariums: Gardens Under Glass". I did not have to think long and hard about saying yes as I have wanted a terrarium for many years. I can remember when the large bottle terrariums were all the rage but the bottles were expensive and my parents kept saying they were a lot of work. Years pass but the memory of thinking they were quite cool did not diminish. The book is published by Cool Spring Press. and is comprehensive in its coverage of this subject. Maria talks us through the core things we need to know before setting us off into how to start to put a terrarium together. We learn about different designs, the ingredients needed, the tools and of course, the glass vessels. There is a very useful section on inspiration as there is more to terrariums than just stuffing plants into a bottle. The type of vessel chosen will help shape the look you are trying to achieve and consequently the type of plants that you will choose. Terrariums have moved on from being just a large glass bottle, you can use almost any (usually glass) container; they can be hanging or in over-large wine glasses. The joy of the terrarium is that it is a no-fuss way of growing something beautiful. 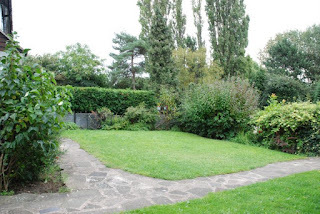 There is discussion about the growing mediums and various gravels and mosses that complete the look. I soon realised that reading the book was one thing, but what I really still wanted to do, most of all, was make a terrarium. This made me read the book even more carefully. I found a large globe that was is meant to be a candle lantern, but I had never used it. It seemed to me to be perfect for what I was looking for. A quick trip to the local garden centre later and I had a handful of small cheap plants and some gravel. Not just any gravel, multi-coloured gravel as they did not have any plain black gravel. I re-read the parts of the book that I needed to and proceeded to put my terrarium together. and here it is, all done. Even though the opening of the neck is not that narrow it was quite fiddly getting the plants in place. The book talks of using chopsticks and other stick like implements to help and this is good advice. I tried to choose plants of different leaf textures but that would be sort of complementary to each other. I was pleased with how it turned out. The more observant of you might think that the multi-coloured gravel is rather black. This is because I picked out all the coloured bits. Having waited this long to make my own terrarium I was not going to spoil it by having gravel I did not like. Having now made a terrarium, that is sitting proudly on my kitchen table at the moment, I can thoroughly recommend this book. It told me what I needed to know and it inspired me to give it a go. 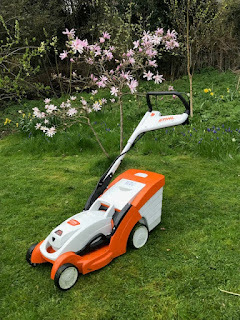 I have been thinking about making a ´garden´ under glass for some time, this review is the final push to start it. Had a good laugh you picked out all the coloured bits, you had to be even more patient to do this than with the fiddling of the plants into the glass. You have set me thinking, I have my mother's old terranium in the loft, maybe it is time it saw the light of day again! Love your choice of plants, the whole effect is beautiful. 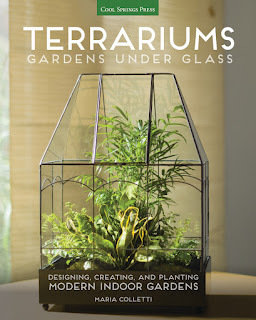 Interesting – I quite fancy a terrarium. Please post an update on yours as I'd be interested to see how you get on looking after it.